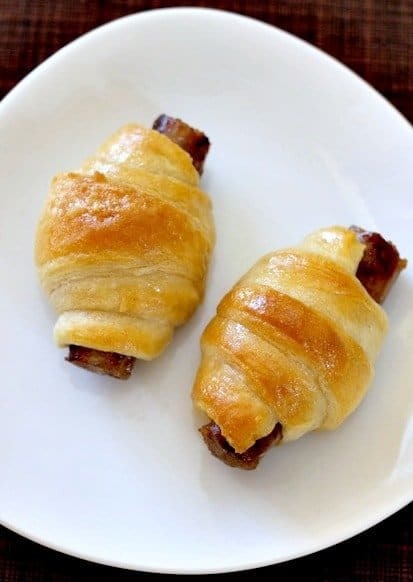 My Maple Sausage Crescent Rolls are kind of a twist on pigs in a blanket, but these are kicked up with sausage instead of hot dogs and topped with maple bourbon glaze. It does seem like I have bourbon on the brain lately. It’s just that it seems to go with everything. Food, drinks, whatever…pretty much anything is better with bourbon. 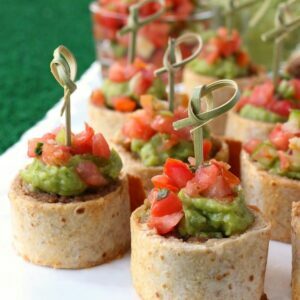 First I was thinking of making these for party food, but then I thought they would be even better for breakfast! 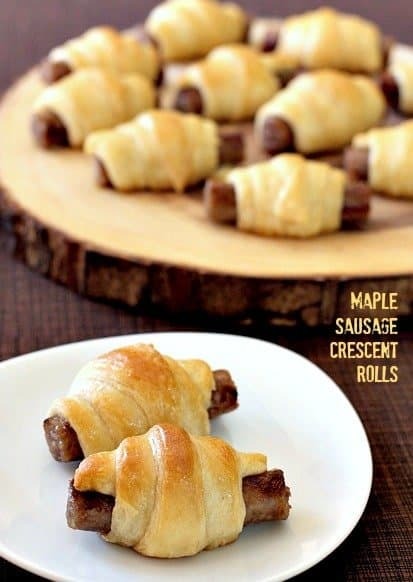 You can make these Maple Sausage Crescent Rolls ahead of time, freeze them, and then warm them up a few minutes before it’s time to eat. Yes, there’s a a couple tablespoons of bourbon in the glaze but I still gave them to my kids. But I guess if you’re opposed to giving your kids bourbon in the morning then you can leave it out. It cooks off right? Isn’t that what they say? I started off by cooking up some maple flavored sausage. Grab your crescent rolls and wrap them up. 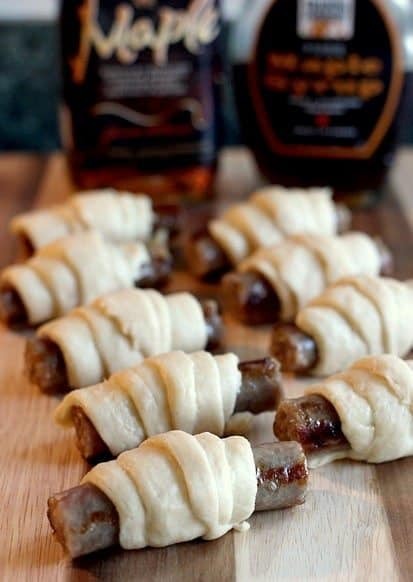 You know how to do it right, like pigs in a blanket. But bigger. Throw them in the oven for 9 minutes at 350. While they’re cooking, get a small pot and mix together the maple syrup and the bourbon. Let it heat up a few minutes and wait for the crescent rolls. Again, if you want to leave out the bourbon it’s fine. I guess. 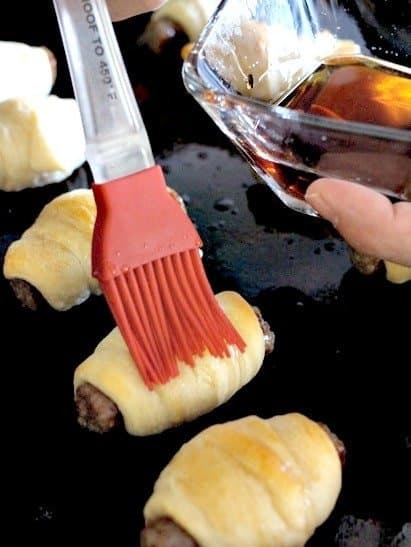 But still heat up the maple syrup for a few minuets anyway so that it brushes on the crescent rolls easier. Then they go back in the oven for another 4-5 minutes until they brown up. You know when you’re eating something that’s still so hot it’s burning but you can’t wait to shove it in your mouth? 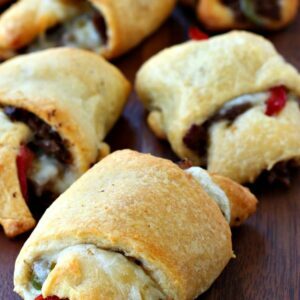 These Maple Sausage Crescent Rolls are that food. 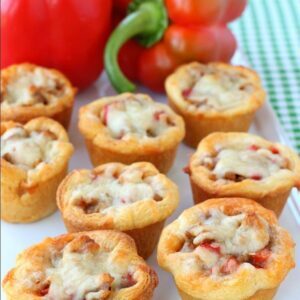 Try these the next time your having company over, or make them up and freeze them for a quick and easy breakfast! 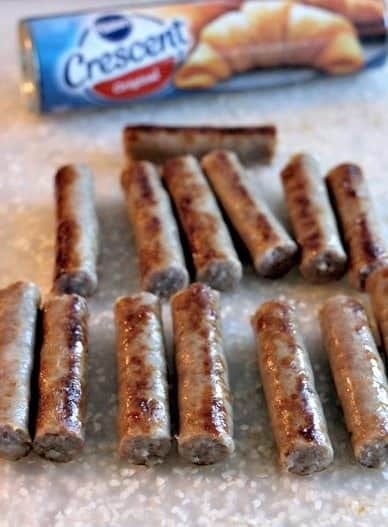 Cook the sausages in a large skillet according to the package directions. Open the crescent rolls and unroll them out into a sheet. Take each triangle and cut in half lengthwise to make 2 triangles, so you’re making thinner triangles to get 2 out of each triangle. 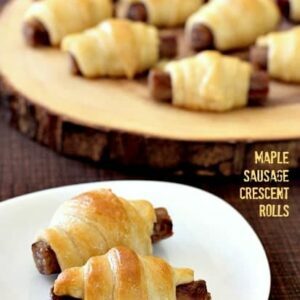 Take one link of sausage and roll it up in the crescent roll starting with the wide end. Place on a sprayed baking sheet and bake at 350 for 9 minutes. While the rolls are baking, place the maple syrup and bourbon into a small pot and heat for 5 minutes, then turn the heat off until you’re ready to glaze. Remove and brush the glaze liberally on each roll, then place back into the oven for 4-5 more minutes until golden brown. If you want to make these ahead of time, fully cook the crescent rolls and then let cool completely. Freeze in a freezer bag until ready to use. Pull the crescent rolls out of the freezer, however many you need to make and bake in a preheated 375 degree oven for 10 minutes. My kids would love this….I’m definitely making these soon! Let me know if you try them out Tricia! My kids would go crazy for these for breakfast! Mine did too- thanks Shelly! First batch burned 🙁 second came out beautiful. I plan to freeze these. I’m worried about reheating times. I had to lower cooking time by almost 3 minutes with the second batch. My oven tests accurate. Any ideas? I would just watch them as they reheat, check them early, but they should be fine!